There are a few (at least) Bible verses that refer to counting some very small items. The one I want to focus in on is found in Luke. “Indeed, the very hairs of your head are all numbered. In this verse, Luke is referencing God knowing the specific number of hairs we have and how He knows all about us – all the details – and loves us so much. That’s crazy to think of – God, the creator of the universe knows the number of hairs we have on our head? All of us? That’s incredible to fathom. There are plenty of times I forget important details, let alone remembering ALL the specific details. This image shows the details God cares about. 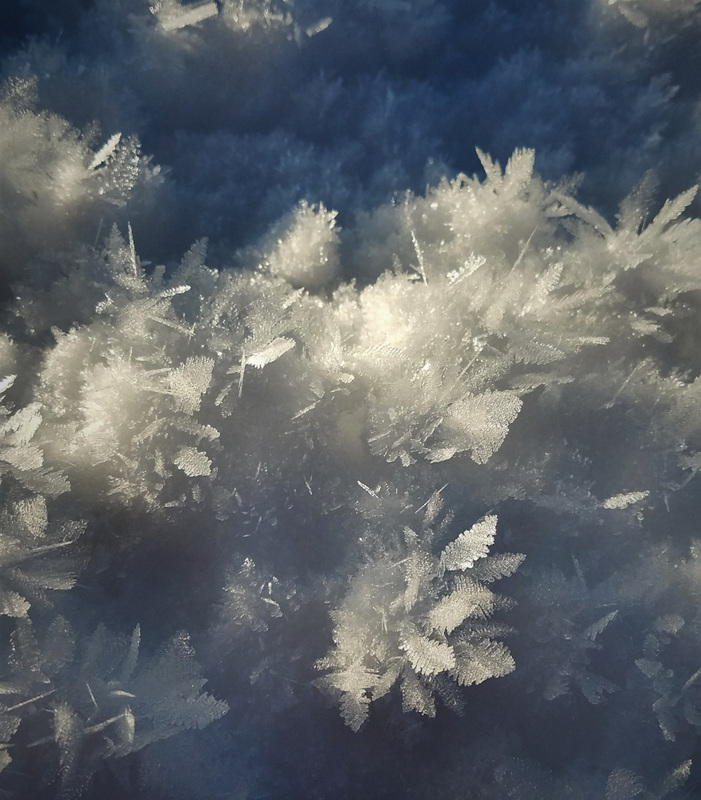 Just look at the feather-like ice crystals. In a world of Darwin Evolution believers, it has to be difficult for them to explain the tiny details found in this one instance. There has to be a Creator, in charge of the big plan when we can see the beauty and care, in all these little details. I’m so glad I believe in that Creator! Keep looking for His examples of how much He cares for us.